"It is dry season and therefore the water level of the lake was low and the temple was not surrounded by water. It was still a pretty stunning sight. More than anything it is a sacred place and we could feel it was very energizing. I could hear the wind singing through the trees. We thought of trying to go back at sunrise to get great colors if we plan ahead of time and spending the night in a hotel close by. Anyway by 5 o�clock clouds started to move in and most of the visitors left. Finally we got the temple to ourselves. I did a last flight with the drone to try to catch a panoramic view before returning home. The battery lasts about 20 minutes, which gave me about 6 minutes on the first flight at the restaurant and about 13 minutes at the temple. I brought the drone down with flashing red lights." The Ulun Danu Bratan is a Balinese Pura, a Hindu temple on Bali. 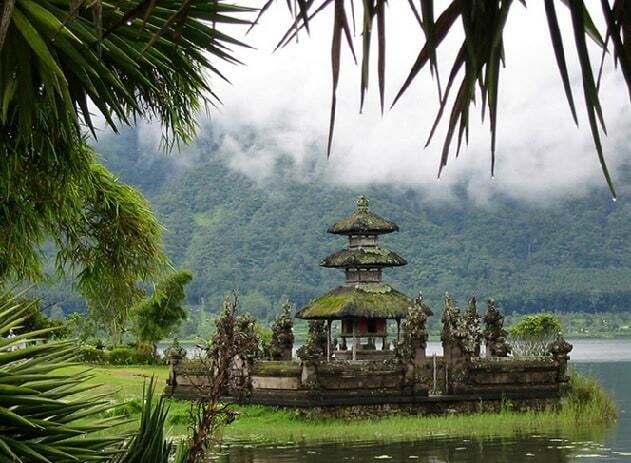 The Pura Ulun Danu Bratan is located in the northwest of the island in the Bratan Lake. This is a crater lake of a dead volcano. The crater lake is surrounded by several mountains. The lake is situated high in the mountains and therefore it's a lot cooler than the lower-lying areas on the island. Ulun Danu temple is very famous for its beauty that has become a favorite tourist spot in Bali, around this place have also been equipped with adequate accommodation such as hotels, villas, restaurants, spacious public park and souvenir shops. The temple is dedicated to the goddess Dewi Danu, the goddess of water, lakes and rivers. This water plays a more important role in the irrigation of the southern part of the island. The goddess Dewi Danu ensures that everything runs smoothly and therefore they should be worshiped. The complex was built in 1633 by the King of Mengwi. And the temple complex is spread over several islands. In the wet season, the temple is located on an island, but in the dry season the water level is often low, so you can walk to it. A banyan tree is overshadowing the entrance of the temple. Once through the entrance, the path leads you past beautiful, manicured gardens and an impressive Buddhist stupa to the main temple. On the banks of the lake are two buildings (Meru) with multiple thatched roofs. If you can sail a canoe the lake you will Lingga Petak fertility shrine in the lake to find itself. 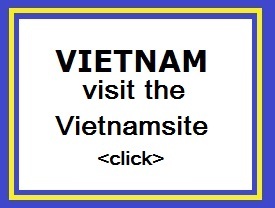 The pagoda roofs with eleven can be seen on many a postcards or guides. The Meru, with eleven roofs is dedicated to Lord Shiva and his consort Parvati. Even Buddha (as reincarnation of Vishnu) has a place in the Hindu temple of gods. The Bratan Lake is known as the "holy mountain lake", the area is very fertile. It is situated at 1239 meters altitude and the climate is therefore cool. This can be pretty cool and moist, and it is therefore not a luxury to take a sweater or jacket with you. 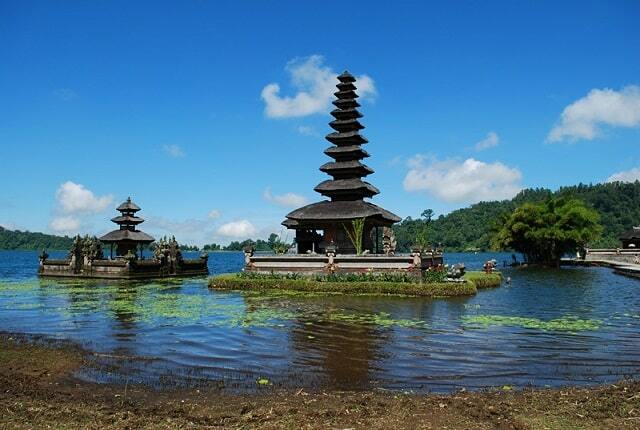 The Ulun Danu Bratan temple is daily open between 7:00 and 17:00. In the parking lot you have some souvenir shops and here you can also buy a snack or a drink. There are animals in small cages and you have the opportunity to pet a snake. You can also have fun with a big bat. Nearby you also find two crater lakes Buyan and Tamblingan. The mountain village of Bedugul is located near the temple. Here you will also find two other attractions in the area: the Bedugul Botanical Gardens and the Treetop Adventure Park. It is a nice experience to walk on the market in Bedugul village. The area of the sacred mountain lake is very fertile and so beautifully green. There is a serene beauty. Candikuning is the small village on the southern part of the lake. The village has a beautiful view over the lake and many use the opportunity to take pictures. The local people is probably ignorant, that you visit the Bali Botanical Garden in this village and this shouldn't be missed. After the photo shooting, this village is often quickly left behind by tourists, not knowing that there are so many things that you can see and do here. 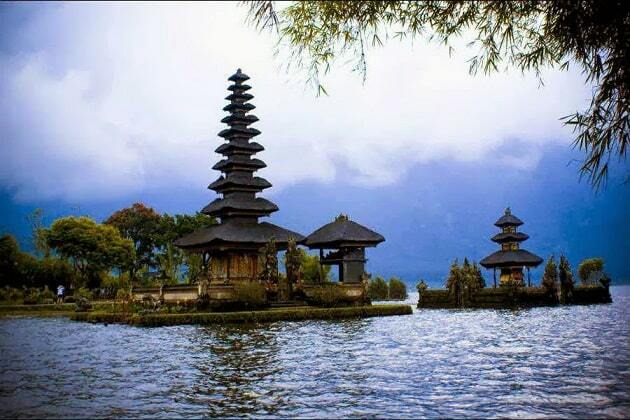 Pura Ulun Danu is situated in the area of Bedugul Tabanan and in the central mountains of Bali. It's on the mainroad, which connects the South Bali's with the North coast. In the North are towns like Pemuteran, Lovina and Singaraja.